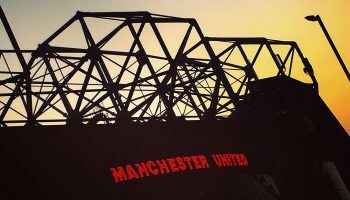 An already ecstatic crowd went berserk, as new-signing Ashley Young announced himself at Old Trafford, scoring his second and Manchester United’s eighth of the night against bitter-rivals Arsenal. It was a moment that instantly endeared him to the United faithful. In the second half of the same season, in a completely contrasting game, the same crowd commended Antonio Valencia, as he scored one and created another, in a 2-1 victory for Manchester United. United completed a sweet, sweet double over Arsenal. Over the next few seasons, the two wingers would share, not just match-winning performances or crowd adulation, but also the strange trajectory their careers would take. Young and Valencia, both traditional orthodox wingers, were signed by Manchester United in order to strengthen the flanks, as the departure of Cristiano Ronaldo had left a gaping hole. Both were probably among the last few players cut out of the fabric of a classical winger. Fast and strong, both of them could make powerful runs on the wings and send in delightful crosses, begging the front-line to accept the gift and score. Young, also had a few tricks up his sleeve and was never shy of cutting in and curling a few long-rangers. In five seasons for Aston Villa, he was responsible for 96 goals, scoring some and creating others for his teammates, a truly remarkable achievement. Young continued his run of form for United – twisting, turning and harassing opposition full-backs, before sending in deadly crosses and finished his debut season by netting eight and creating 12 goals in all competitions. Valencia, on the other hand, came in as a humble replacement for Cristiano Ronaldo, showed good promise in the 2009-10 season, but was hampered by injury in the 2010-11 season. Valencia welcomed the 2011-12 season and left his mark on the right-wing, scoring six and assisting 16 goals in all competitions. Known for his immense strength going forward, Valencia could bully any defender in his way, at times, simply by his pace. The lack of flair was compensated by aggression, power and an eye for key-passes. The next two to three seasons spelled disaster for both of them as changing managers, tactics and players meant a lack of cohesion between the team. Louis van Gaal breathed some life back in the wingers as United moved to a 3-5-2 formation, with an onus on the wingers to help out in attack, while being responsible for defending their flank. Young had to undergo an ankle surgery and missed the better part of the 2015-16 season. Valencia faced a lot of criticism as he tried to adjust into a new defensive role. Having played all his life as an attacking winger, Valencia did not have the defensive instinct and would be caught off-position quite a few times. When Jose Mourinho entered the fray, he reverted to a back-four and converted Valencia and Young to full-backs. Being a defensive maestro, however, he did what his predecessor couldn’t do. He helped the two wide men adapt to the new role and develop into able full-backs. Valencia, facing a new challenge, buckled in and learned his new trade. Owing to his discipline and desire to carve a place in the team, he managed to single-handedly safeguard the right-flank, an area that United have not been able to successfully fill in the past three to four seasons. He became Mourinho’s first choice right-back, starting 31 games in the league, during the 2017-18 season. In the same season, Young fought his way back into contention and managed to make 30 league appearances. He showed true grit and determination, coming out from his injury, and at 33 years, managed to earn a place in the World Cup squad for England at the 2018 World Cup. He played exceptionally well as a wing-back for England, silencing most of his critics for doubting him, starting five of the seven games for ‘The Three Lions’ ahead of other youngsters like Danny Rose and Fabian Delph. The fact that United signed only one full-back in the transfer window (19-year old Diogo Dalot), signifies the confidence that Mourinho has in the two veteran players. Looking ahead into the 2018-19 Premier League season, life may well complete a full circle for the two winger-turned-full-backs as they get a chance to move into a more attacking role. Mourinho has experimented a back-three (or a back-five) formation, at times last season, and almost all the games in the pre-season tour, thus enabling them to be used as wing-backs. Their lack of defensive instincts can be compensated by the fact that this formation provides extra cover at the back. However, playing as wing-backs does release them into a more adventurous role, where they are the most potent. A target man like Romelu Lukaku can benefit immensely from good crosses from Young and Valencia and that may well provide the extra goals that United searched for, in vain, last season. For that to happen, Young and Valencia would have to rekindle the fire, they once had in their prime, and proving that Age is just a Number. Ratings: Luke Shaw and Paul Pogba in contention for Man of the Match in Leicester victory The Mourinho Project: Where is Manchester United heading under Jose?